I think this was my favourite card of my Lawn Fawn experiments this Christmas! 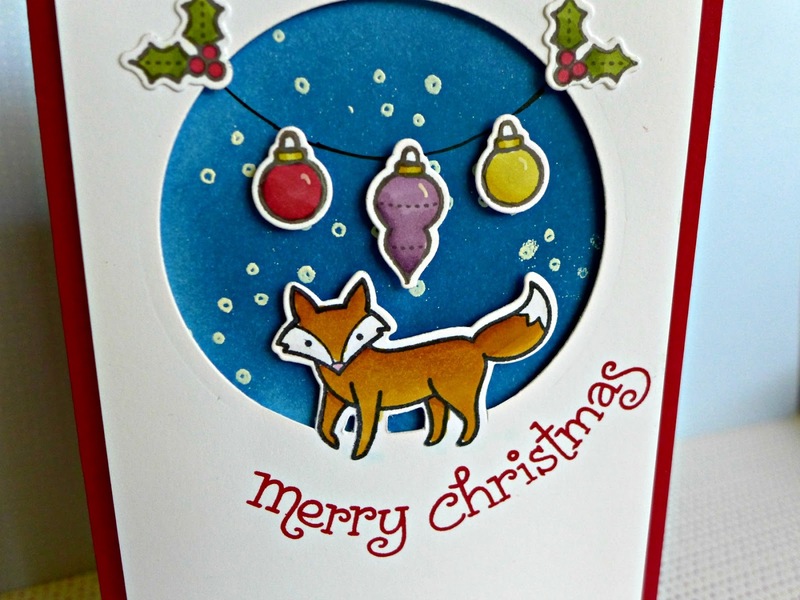 Cardmaking will never be the same now I've discovered the partial diecutting technique, this was my first attempt at it and it turned out really well and set my mind working overtime on other possibilities. I sponged the blue background over some white embossed snow (from Stampin' Up! 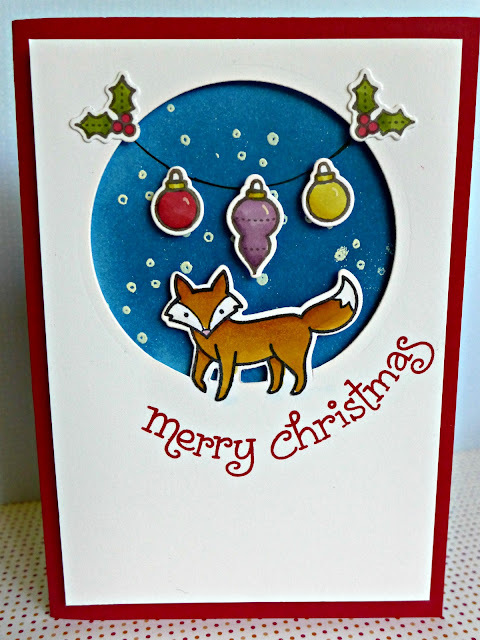 White Christmas) and raised up the whole front of the card on dimensionals before mounting it on a red base. I love the clean simple look of this technique and the contrast of white and bright colours.